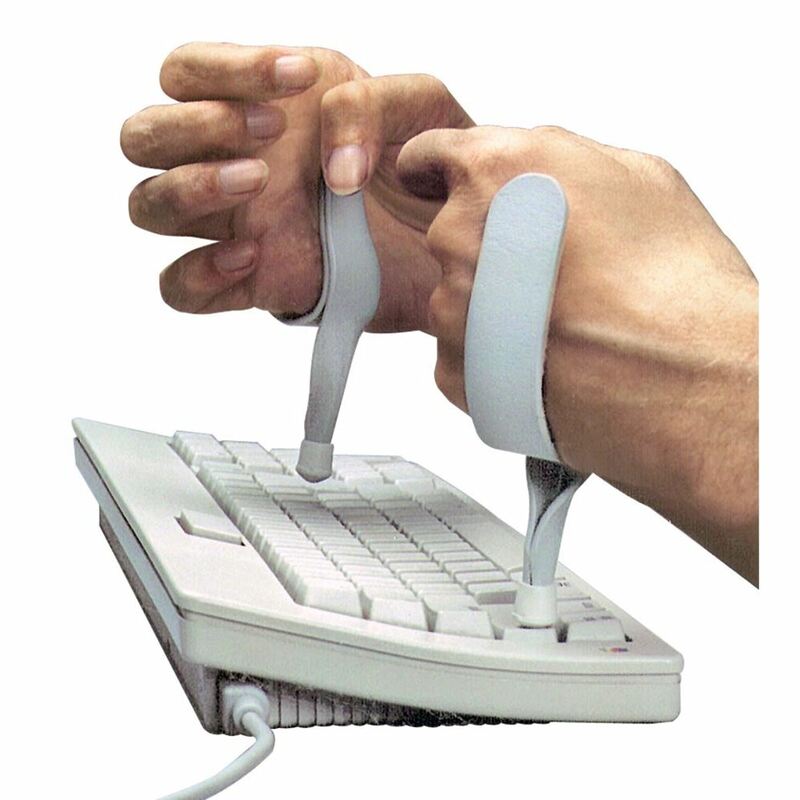 AliMed® Clear View Typing Aid* fits securely and offers an unobstructed view of the keyboard. It is worn on the ulnar side of the hand - padding protects the dorsal hand surface. 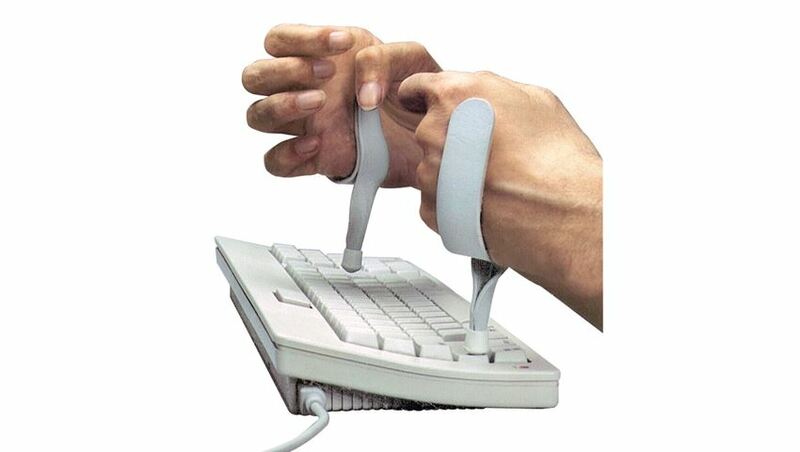 Can be used by people who have finger contractures that interfere with devices worn on palmar surface of hand. Easily adjusts to fit. *Developed by S. O'Leary, M.S., OTR, Department of Veterans Affairs, Spinal Cord Injury Service, Palo Alto, CA.